Have you ever had a brilliant idea for a new product or service, only to find there are heaps of people doing exactly what you thought was a spark of genius? So back to the drawing board? No, that’s not necessary. It may seem counter-intuitive, but a crowded market with heaps of competitors should be embraced rather than ignored. That’s because it’s all about positioning your product and finding a unique niche, no matter how crowded the market is. A crowded market represents a market where money can and is being made. It’s fertile ground just like a rainforest with its complex ecosystem. If you were to plant something in a rainforest, it has a great chance of growing. The same is true for a market with many competitors. Contrast the rainforest analogy to a market where there are no competitors. You’re the first! This is like being in a desert, looking around and seeing nothing growing. There are no competitors because the market or niche is not profitable. It’s crowded out there and almost anything you can think of has been done or attempted. New products that come into the market are for the most part reiterations of products or services that already exist. It then comes down to finding the right niche that differentiates you from your competitors. This is called positioning. 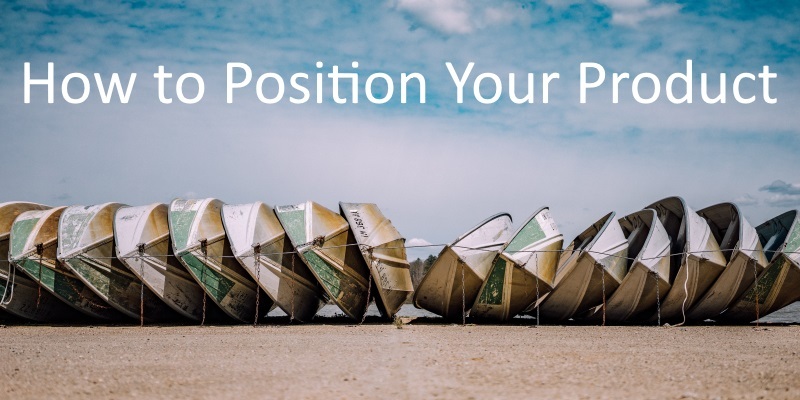 Positioning is what sets your product or service apart from your competitors. It’s not just a case of being different, it’s also being better. So rather than trying to avoid competition, you want to successfully compete by positioning your product in a unique and better way, so people will buy from you and not your competitors. Many marketers and business owners refer to this as the Unique Selling Proposition (USP). In its simplicity, the USP shows a specific benefit of your product to your potential buyer that your competitors don’t have. There’s a problem with the USP as a stand-alone concept, and that is by offering your customers a different benefit doesn’t necessarily mean that it’s a better one. A lot more is required to uniquely position your product. Unique. Is it different from what your competitors offer, and in what way? Beneficial. Does your product offer a compelling benefit that your competition doesn’t? Positioned in the mind of your potential customers. What do they think of it? Remarkable in a positive sense. Will your customers recommend your product and share with their networks? Memorable. Will your product or service have an immediate and lasting impression? By taking this approach, your product can be uniquely positioned as being different and better than your competitors. With great positioning, you have carved a niche in the market where your product will resonate with the potential customers you’ve developed it for. It comes back to knowing your potential customer. Being able to empathize with them and understand their worldview. This is the ground floor for product success and getting your customer to buy from you. It doesn’t matter whether you already have an audience, existing customers, or starting from scratch. It is an individual that will hand over her credit card to purchase your product. Understanding why she would purchase from you and not your competitor means that your product has been successfully positioned for your potential customers. They will purchase from you. A lot of effort goes into getting a customer to buy from you. Once they do it’s not the end of the story and mission accomplished. Far from it. Positioning is an ongoing process from all touch points with your customer. Examples are warranties, customer support, evangelizing about the product and additional purchases. You want your customer to be happy and to buy from you again. This is known as customer retention and I believe it to be one of the most important components of positioning. Success with customer retention is mainly determined by the culture within an organization and how they view and treat their customers. As an example, I think everyone has experienced the good and the very worst of customer support at some time. What this means is that you’re 14 times more likely to sell to an existing customer than a new customer. This fact is self-explanatory yet only 16% of companies put their primary focus on customer retention. In summary, great positioning sets you apart from your competitors. It’s not just being different, it’s also being memorable and worthy of recommendation. After the sale, it’s caring deeply about your customer and their experience going forward with you. Frankly, you’ll just be better than your competitors.